CHHK Records continues their momentum from SXSW with a lineup of heavy hitters from Central Texas plus very Special Guests Doggma Uno Record label from Southern California. 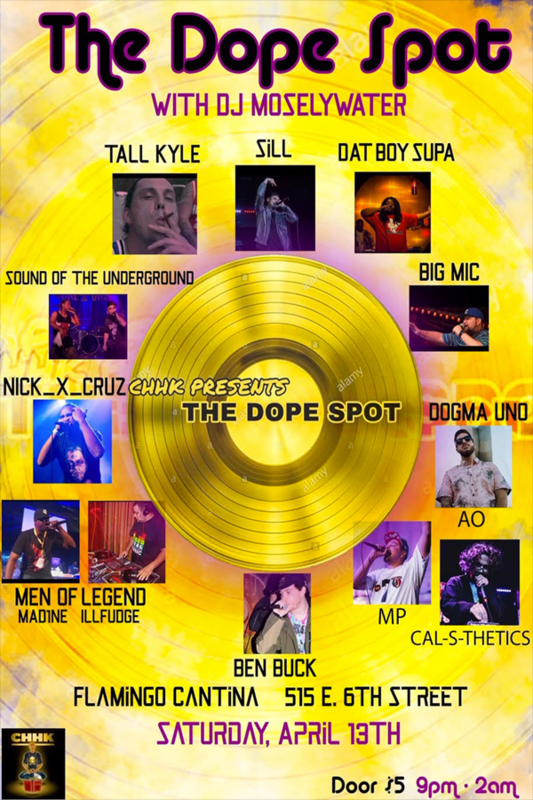 Come checkout some dope spitters & top notch producers in this talent packed lineup!!! DJ Berlin holding down the sounds all night!